While dithering over what to make with my beautiful orange yarn, and dithering more over exactly what kind of sweater my wardrobe needs, and dithering even more over the fact that I am too busy to be thinking about knitting, I still needed something to keep my hands busy. It’s not like I could just not knit, is it? 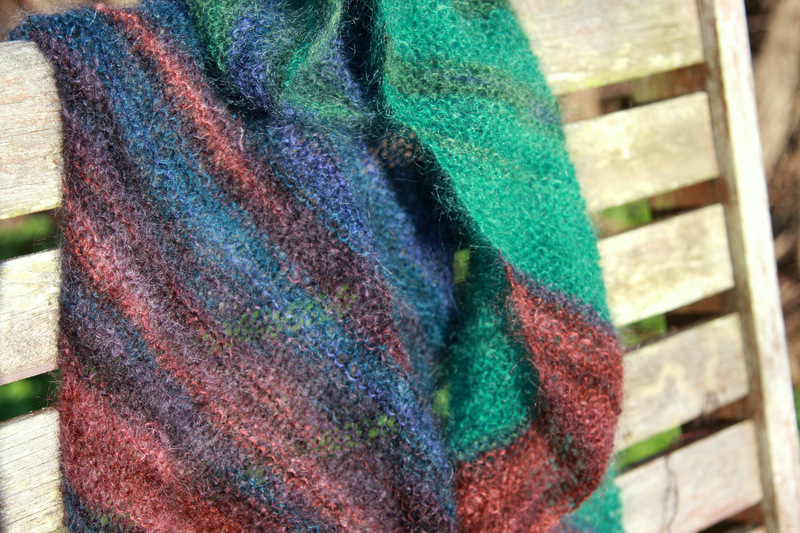 The scarf looks so pretty in the sunlight today, that I couldn’t resist trying to capture it. 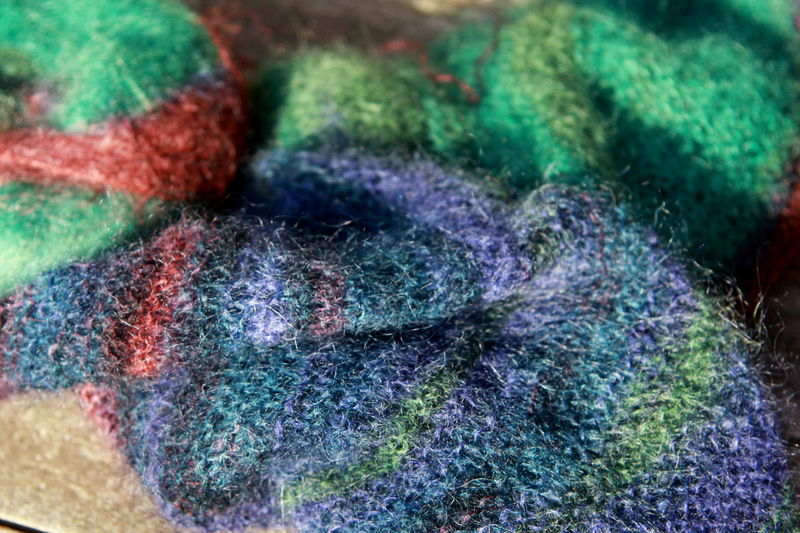 This knits up fast, from a single ball of yarn on big needles. The colour changes keep it interesting and arresting and the garter stitch is soothing. This colourway is made up of brilliant jewell-toned greens and blues, with a lovely rusty-copper shade, and hints of olive and blackberry. 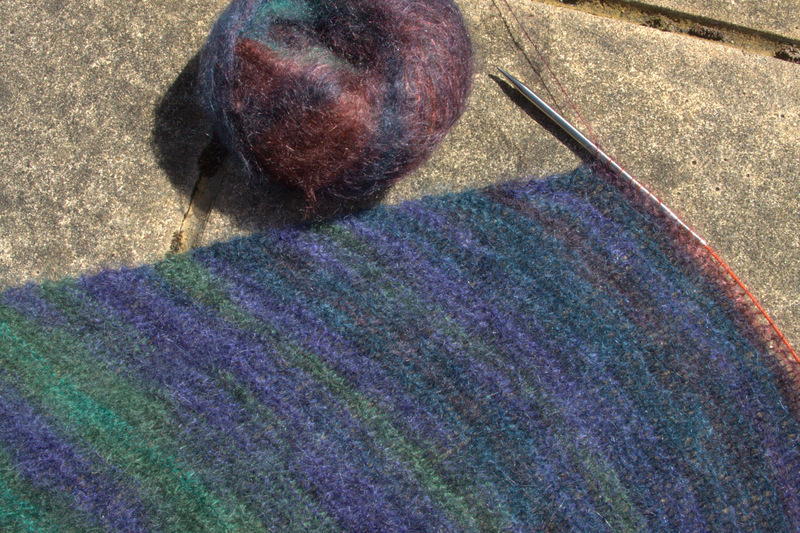 And now that you’ve had a little glimpse of gorgeous Kidsilk Stripe, I am heading out to the sun to do some more dithering. 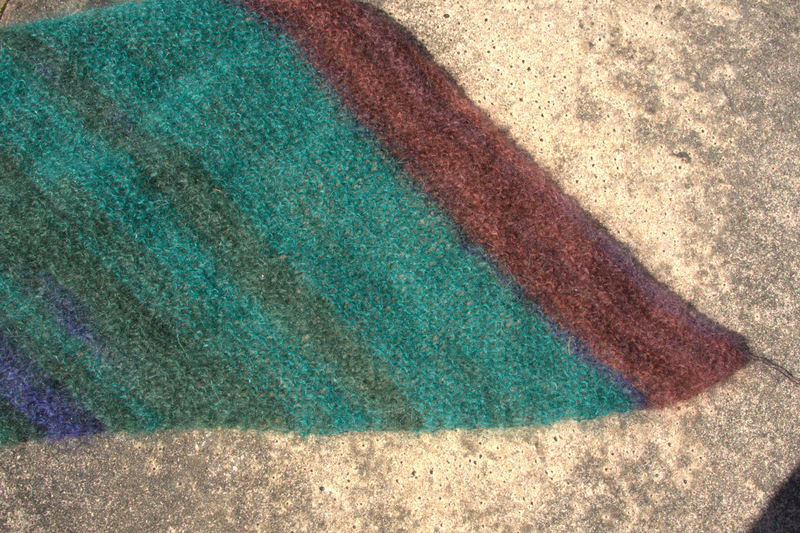 This entry was posted in Main and tagged Kidsilk Haze Stripe, Knitting by knitigatingcircumstances. Bookmark the permalink. Lovely! I just love Kid Silk Haze. It’s like wearing a cloud!